In our December issue we have a great Giveaway! 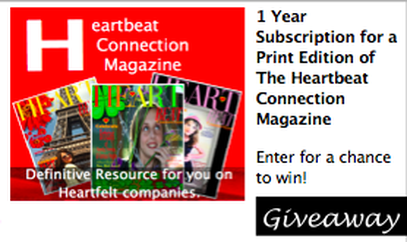 To kick off The Heartbeat Magazine 3 year celebration in January we are offering 1 year Print Edition Subscription to The Heartbeat Connection Magazine. Visit our blog or Giveaway page to enter online!